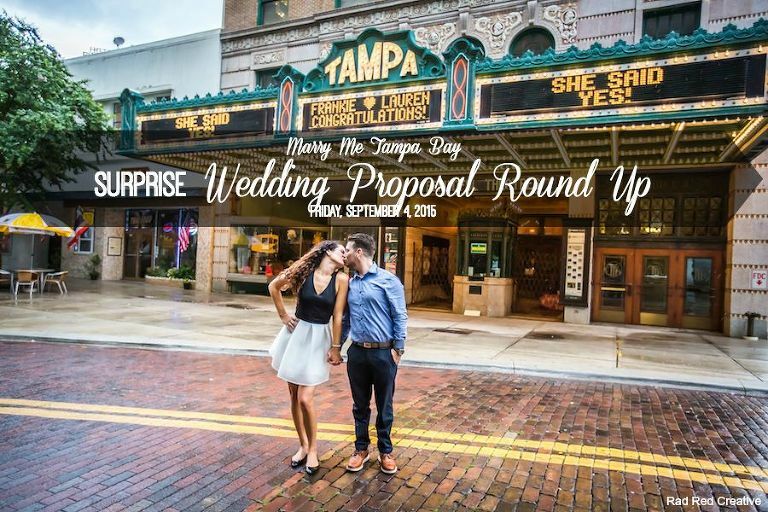 One of the newest trends we’ve noticed at Marry Me Tampa Bay is elaborate, surprise wedding proposals. In fact, it’s become so popular that we were recently interviewed by Bay News 9 on the topic. Frankie planned every detail when proposing to girlfriend of six years, Lo, that he staged “extras” to cover his surprise engagement. 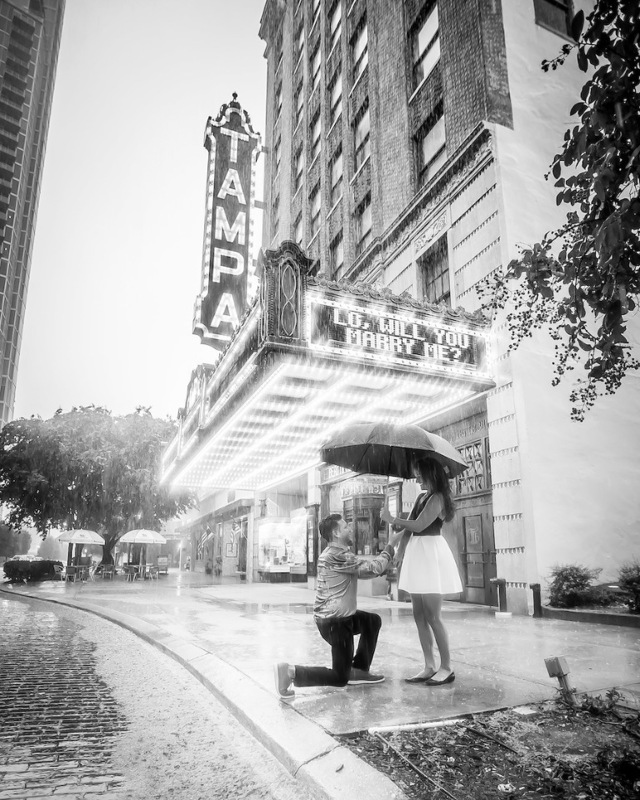 After saying ‘Yes,’ Lo was surprised to find Frankie’s proposal written on the Tampa Theatre marquee. 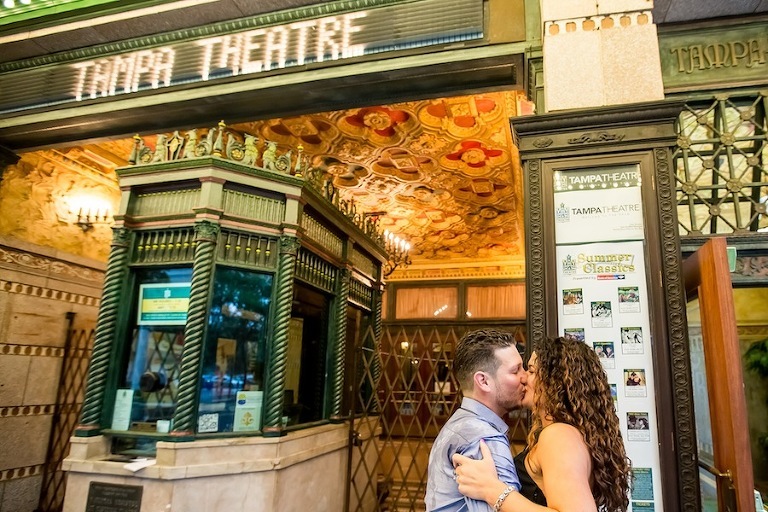 The pair celebrated inside the theatre with champagne, hors d’oeuvres and a video of their love story. 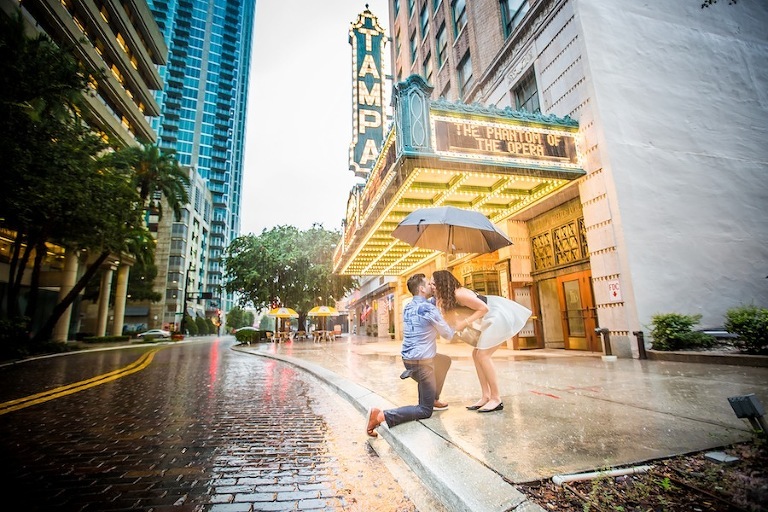 After moving to downtown St. Pete from Virginia with girlfriend Bri, Will popped the question atop their new urban home. “Will and I had been speaking for a few weeks planning his proposal to Bri,” Rana, owner of Roohi Photography shared. “Her expression throughout was priceless! Who doesn’t love a surprise proposal on a gorgeous rooftop!? After saying yes, the bride-to-be was surprised by Will’s college friends, who flew down from Virginia to celebrate with the newly engaged couple.